Made with nature’s oils and plant extracts, this gentle shampoo cleanses and promotes shiny and healthy looking hair. Contains Chamomilla Recutita (Matricaria) Flower Extract, which has a calming and soothing effect on scalp. Contains Aloe Vera and Jojoba to hydrate and condition the scalp. Contains revitalising lime and lavender oils, both beneficial for healthy scalp. Contains 100% pure Australian Tea Tree Oil, an antibacterial ingredient. Free from SLS, parabens, silicons, polysorbates, petrochemicals, propylene glycol, synthetic fragrances, synthetic colours, synthetic preservatives and animal derived ingredients. Wet hair. Gently massage shampoo into hair and scalp. Rinse thoroughly. Repeat if necessary. 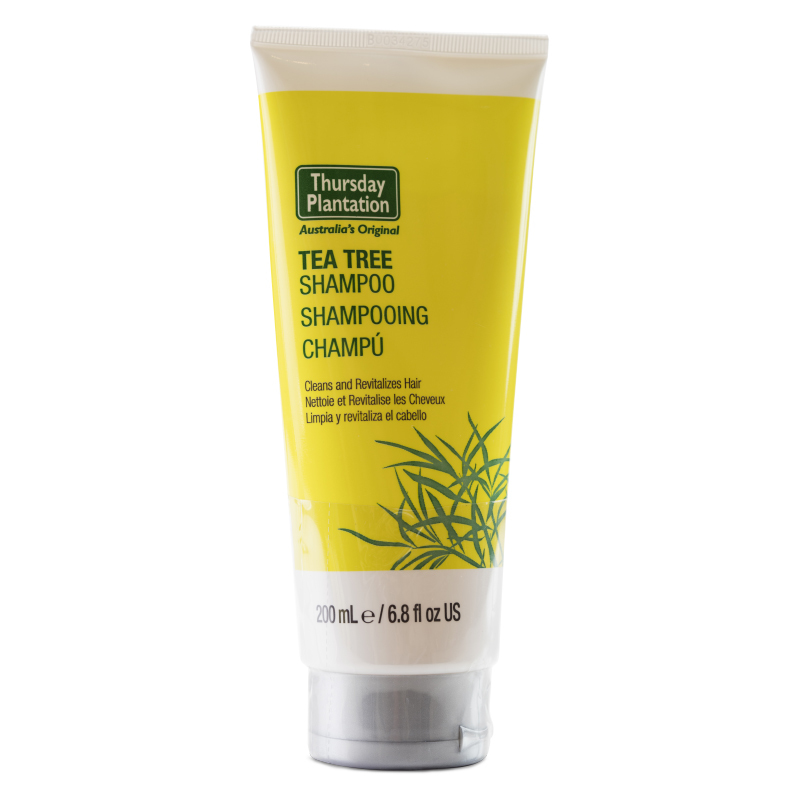 For best results, follow with Thursday Plantation Tea Tree Conditioner. Aloe Barbadensis Leaf Juice, Water/Aqua, Coco-Betaine, Decyl Glucoside, Chamomilla Recutita Flower Extract, Glycerin, Melaleuca Alternifolia Leaf Oil, Xanthan Gum, Simmondsia Chinensis Seed Oil, Cyamopsis Tetragonoloba Gum, Lonicera Caprifolium Flower Extract, Lonicera Japonica Flower Extract, Citrus Aurantifolia Oil, Lavandula Angustifolia Oil, Linalool, Limonene.